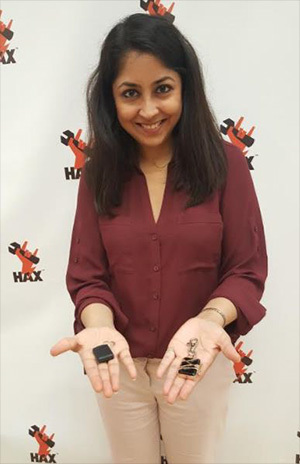 Gurgaon-based DAZL, which builds connected devices for women’s safety, has been selected to participate in HAX Growth, an eight-week boot camp for hardware startups based in San Francisco, a company statement said. SOS Ventures, which runs the HAX Growth programme, will pick up a minority stake in DAZL and will offer the startup services worth $100,000, the press note added. DAZL’s Internet of Things safety solution works with a connected smartphone over a range of 100 feet. Users can trigger an SOS alert by pressing a button, which then emits a very loud sound. This can happen even when the smartphone is not directly accessible, such as in an emergency. The hardware solution has a battery life that lasts over 45 days on a single charge (standby time). 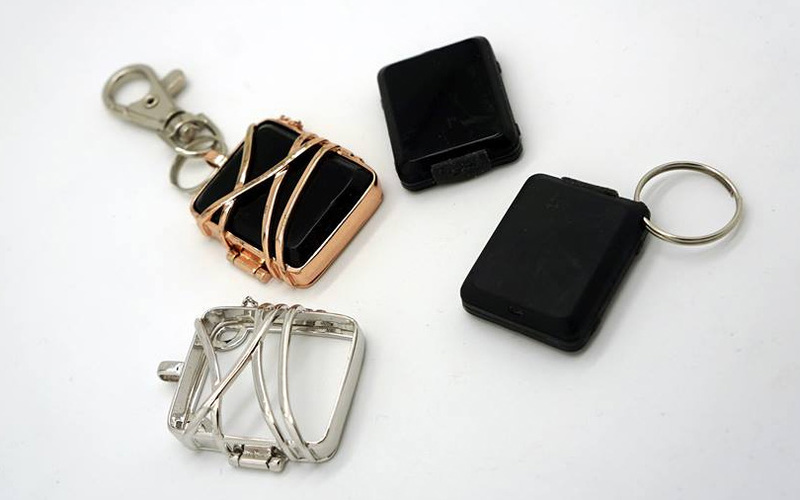 The product is modular in design and can be inserted inside a keychain, handbag tag, a broach or even kept in the pocket. Alternatively, users can insert it inside their jewellery. Besides the safety features, it allows users to locate their misplaced devices through the mobile app. The smart wearable can also help users receive notifications such as emails, texts or calls. DAZL’s product is ready for mass production. DAZL was founded in 2015 by the daughter-mother duo Aditi Chadha, former executive at consultancy firm Grant Thornton, and Anu Chadha, a serial entrepreneur. Besides the founders, DAZL's team comprises Anuj Sharma, a graduate of Lakehead University, Canada, who is the firm's electronics lead and operations head. In March 2017, DAZL received seed funding from the Department of Science and Technology, Government of India. Previously, the company had won the 'Vodafone Startup Award' and received seed funding from Vodafone in August 2016. Owned and operated by MyKavach Wearable Technology Pvt. Ltd., DAZL is exploring both business-to-business (B2B) and business-to-consumer (B2C) approaches. On the B2B front, DAZL will tie up with jewellery manufacturers as tech partners to make their products smart by incorporating its wearable technology in them, while as a B2C player, it will sell its smart wearables like keychains directly to customers online. Besides HAX Growth, HAX runs a four-month accelerator programme in Shenzhen, China. Selected early-stage startups are housed in its offices in Shenzhen and HAX invests up to $100,000 for 9% equity in them. HAX has previously selected two startups from India for its programme. In October 2016, it invested $100,000 in Bengaluru-based Ray IoT, a non-contact baby monitoring technology solutions company. It had also selected Mumbai-based health-tech startup Diabeto for its boot camp in San Francisco. Diabeto is a hardware device that wirelessly transmits blood glucose readings from a glucometer into a smartphone. The readings can be analysed with the help of an app.